Accidents happen, and when they do, we can help restore your damaged dental implant right away. Dental implants are made from titanium, which makes them incredibly durable and resilient to damage. That’s just one reason we love using them to replace missing teeth. Of course, even with a very high success rate, there are still things which can break or damage a dental implant. 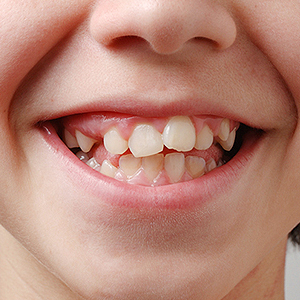 When this happens, our Glenview, IL, dentists, Dr. Alexander Quezada and Dr. David Lewis Jr., are here to help. 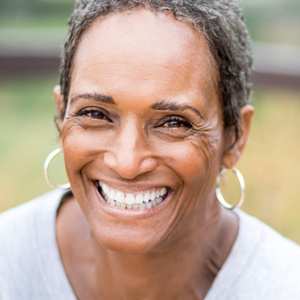 This is one of the most common problems that those with dental implants face and can be caused by many reasons such as sports-related injuries and bruxism (teeth grinding); fortunately, it is an easy fix. Although, how our Glenview, IL, restorative dentist handles this problem will depend on the situation. If the crown is fully intact and just fell off, all we will have to do is cement it back into place. On the other hand, if the crown is cracked or broken, then we will need to replace it with a brand new crown. Getting a new crown may take a couple of trips to our office, as you might remember when you went through the implant process. We will need to take impressions of your mouth and then wait for a dental lab to make your crown (this can take up to one week or more). The abutment is the structure that lies between the crown and the implant, and its purpose is to connect these two pieces together. While an abutment is very strong and durable, a serious accident or blow to the face could end up cracking or breaking it. When this happens, it’s important that you visit us right away. In this case, the only option will be to replace the abutment. Once a year we will run x-rays to check the health of your jawbone, mouth and even the implant. It’s through imaging tests that we can look for dental cement leakage and other problems that we will need to correct. The only treatment option for a failed or fractured dental implant is to replace it with a new one, although it is very rare to have something happen to your dental implant if you are maintaining good oral hygiene. Have you broken your dental implant crown? Are you noticing any changes in your oral health that are impacting your implant? If so, then it’s time to call Colonial Dental Group's Glenview office right away at (847) 729-2233. We're here to help!